A simple word or image can trigger a host of sounds, emotions, memories and meanings. What comes to mind when you think of Apple, Glastonbury, Netflix, Nike, PlayStation, Chanel, Alexander McQueen, Harley-Davidson, GoPro or Ray-Ban? Each word communicates different images, feelings and stories, through a simple visual cue. A brand is essentially a name, logo, or slogan that differentiates you, your services or your products from others and is often the most valuable asset of a business. The GOOGLE and APPLE brands are each estimated to be worth more than $100 billion. COKE is the second most well known word in the world after “hello”. Marketing guru Seth Godin believes ‘A brand’s value is merely the sum total of how much extra people will pay, or how often they choose, the expectations, memories, stories and relationships of one brand over the alternatives.’ Having a well-known brand is valuable because the owner of the brand name can generate more money from products or services with that brand name than from products with a less well-known name. Why? Consumers believe that a product with a well-known name is better than products with less well-known names. However, much of the potential success of your brand depends on the choices that you make at the early stages of your project or business. With this in mind, we’ve compiled a list of nine tips to enhance and protect your brand. 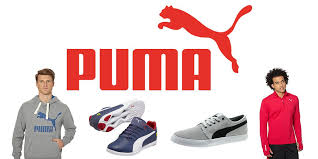 Select the brand that will best represent you, your business, service or product. The best trade marks are easy to pronounce, stick in people’s minds and become associated with you. The nature of a brand will affect its performance in the market, with its audience, and how broadly it is protected. The best brands are made-up words (such as KODAK) or arbitrary words that are not related to the products they represent (such as APPLE for computers). Suggestive words (such as JAGUAR for cars, suggesting elegance and speed) or combination words (such as AIRBUS for airplanes) also work well. Avoid marks that are purely descriptive of your product or service (APPLE for apples or LOUD for sound speakers). Although, if you combine two descriptive marks the result may be unique enough to qualify for protection (like AIRBUS). Of course, you also want to avoid marks that are similar to other brands. 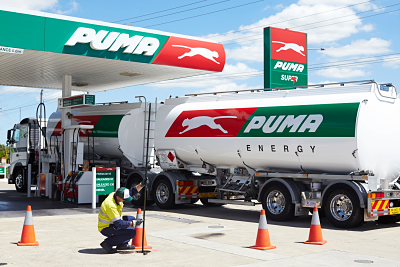 However, if the brands are being used in relation to very different products or services, it may not be an issue – think of PUMA apparel and PUMA energy. Avoid marks that could offend. The Asian-American rock band, THE SLANTS, are busy fighting it out in the United States Supreme Court because the United States Patent and Trademark Office refused to register their brand for being a derogatory term for Asians. The REDSKINS, Washington’s NFL team, are facing a similar problem. 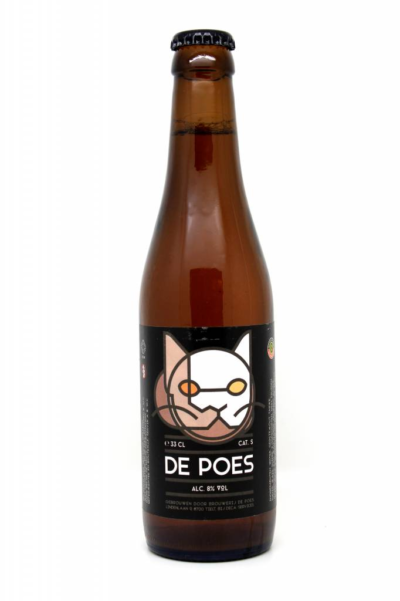 Back home in South Africa, the Belgian imported beer, DE POES (meaning ‘the cat’ in Dutch), is probably not registrable either. Once you have chosen a brand, scope things out to see if a similar brand or trade mark already exists to avoid problems and a costly rebrand in the future. Trade marks are territorial. So, unless a mark is really well known internationally (think NIKE or MCDONALD’S), a similar mark is only a problem if it’s already registered or used in the country or market that you want to operate in. If you’re in South Africa, do a few Google searches for your brand by selecting ‘South Africa’ as a search criteria and/or including ‘site:co.za’ as a search term. If you want to enter markets internationally, you can do Google searches selecting those countries as search criteria (and their domain extensions). If you intend to take on the planet, you can also search the freely available official Trade Mark Registers of certain countries or jurisdictions (like the Unites States or the European Union) here. Unfortunately, in South Africa the Trade Marks Register is only freely available to a limited extent. You can conduct a limited search for your exact trade mark here, but to find all potentially problematic, similar brands that exist in all related classes of good and services, you should get a trade mark attorney to search the CIPC (Companies & Intellectual Property Commission) ‘pay-per-search’ Register for any potential obstacles. An attorney will also be able to tell you if your chosen brand can be registered as a trade mark. If you are struggling with the limited search (and classes), we’ll check for free if your exact brand (word or phrase) is not yet registered. Complete the form below and we’ll email you. What name do you want to trade mark? Describe your business, goods or services. A trade mark registration increases the protection and value of your brand, discouraging others from using something confusingly similar. It also allows you to get exclusivity in a brand before having used and gained a reputation in the brand (though you need to use it within five years of registration or it could get cancelled). A registered trade mark is protected for renewable periods of ten years. Once the application is in progress, your brand will show up on the official Trade Marks Register, searchable for all to see. When it’s registered, you can use the ® symbol to signify that it’s registered. Using ® next to a brand that isn’t registered in your country is a criminal offense. Unfortunately, people don’t realise the benefit of a registration until it’s too late. Aside from conferring rights in the name – without you needing a reputation and to use it in the market first – a registered trade mark gives you ammunition against infringers of your brand. This includes cybersquatters from registering domain names with your brand, or confusingly similar brands. You can force infringers to pay royalties. It also saves you time and money if you ever have to go to court to protect your brand. But, you’ve got to act fast – the first applicant usually gets granted rights in a trade mark. Lastly, a registered trade mark reflects as an asset on your balance sheet – it can be securitised, licensed, franchised and sold. If you are the owner of the brand you can file your own trade mark application in South Africa directly on CIPC’s website here. However, the process is highly complicated, with strict deadlines, and can go on for over two years. If you’re unsuccessful, you’ve got to start from square one. So, it’s best to use an IP or trade mark attorney to do the process on your behalf. Only an attorney is allowed to file on the owner’s behalf (otherwise the application and resulting registration is invalid). Trade mark attorneys usually charge between R2,500 to R6,000 to file an application in South Africa. You can choose to file in other countries or territories too. A United States application usually costs about R25 000. In the European Union it is closer to R40 000, but this covers all 28 member states (for now this still includes the UK). The more you use your trade mark – brand name, logo or slogan – the stronger and more distinctive it becomes and the more your audience is likely to remember your brand, use it and form associations around it. Also, if you don’t use your brand within five (5) years of it having been registered as a trade mark, your mark can be removed. An important ingredient to Oprah’s success (aside from registering her name as a trade mark) was her active and aggressive role against others using the brand or a similar one. Brands become diluted when others use key components of your brand, causing confusion between your goods and/or services and theirs. If you don’t act against infringers decisively and early they may become unattackable once enough time has passed and they have built their own reputation and rights in the brand. If your brand is no longer distinguishable from others, you run the risk of losing your trade mark protection not only against the infringers, but everyone. This happened to SRIRACHA. The owners didn’t register or protect the brand name when they launched back in 1980 (though they did protect the rooster logo and bottle). Others started using the word and it has become generic – like tomato sauce. 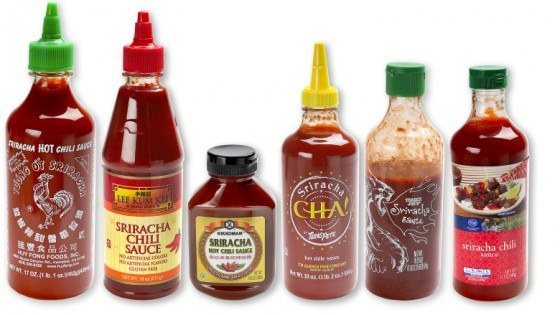 Once generic, a word no longer identifies the brand, but the product type, which is why there are now many sriracha copies. 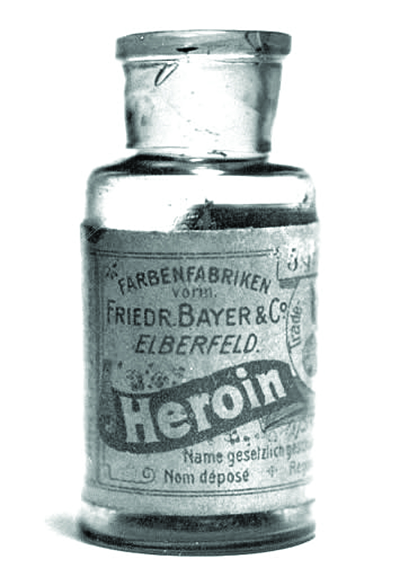 The same thing happened to former brands like ESCALATOR, DRY ICE, LINOLEUM, LAUNDROMAT, TRAMPOLINE, YO-YO, JACUZZI, FRISBEE and HEROIN (by Bayer). If someone is using your mark, or something confusingly similar, the first step to protect your brand is to send a letter of demand stating that you own the mark in question and they must, by law, remove it from their products, services, materials, websites or servers, and pay any financial damage caused to you. Proving financial loss is difficult. If you have a registered trade mark you can demand a ‘reasonable royalty’ instead of damages – the amount the unauthorised user would have had to pay for a license to use your brand. Ensure that all your contractors and employees sign agreements that they cannot use your intellectual property themselves. This applies not just to brands or trade marks, but also to any copyright (in images, software code, text, video, music and sound), designs and trade secrets. Although in some instances you become owner of copyright by operation of law, for example when you commission someone to create a film or sound recording for you, this doesn’t apply to all works (like artistic works) and it’s therefore also a good idea to include a clause stating that you own all intellectual property created for you by independent contractors. Many entrepreneurs forget this step, only to have a contractor using the content or not transferring the rights to the property, causing nightmares. Buy online real estate featuring your brand, such as domain names, social media handles, and profiles. It’s best to only use one domain for your company website, but to avoid competition or cybersquatters from taking advantage of you and your business, purchase and park all variations of your branded domains and link them to your primary site. This includes .org and .net versions of your .com or .co.za domain. If you don’t do this and your brand becomes well-known, anyone can buy these domains and try to sell them back to you for an inflated fee, or use them in a manner that may be damaging to you. Consider protecting your brand on online searches. Bidding on your brand as a keyword (such as on Google AdWords) helps keep your business on the top spot on the first page of search results for your business name. Competitors will often bid on your keyword too. Google allows it, and in 2016 South Africa’s Supreme Court confirmed that while competitors can bid on a keyword, they cannot use your brand name in content of the ad itself – nor on the page to which the ad links. If you develop your personal brand the same way you develop your company’s brand, you’ll have even more visibility and influence over your business’s search results. In many cases (especially when your business is still starting up) your name will be googled more than your company’s name. It’s important for potential investors, clients and employees to find a positive representation of you online. Your online reputation can be the thing that makes or breaks your business. A carefully nurtured brand reflects the heart and energy that you invest over years of building a business, cultivating the goodwill and reputation that you earn from your audience. Consumers develop loyalties to brands for life, and those are passed on down generations and across subcultures, becoming national icons and personal identifiers. A product is often only as good as its brand – and a good brand is worth protecting. Without a trade mark, a valuable brand is vulnerable to being hijacked by competitors and misappropriated by the public, diminishing the worth you’ve poured into developing a strong identity.